Saving Montgomery Sole’s story is small, centering on Monty’s belief in/horror at the power of an unusual crystal called the Eye of Know, which may or may not be causing calamity. Amidst this, Monty feels personally threatened by the son of a preacher who’s on a mission to “save the American family,” even though he barely speaks a word to her. Over the course of the slim novel, Monty’s friendships and family relationships are strained as she struggles to understand her place in the world. For first-person narration to work, the voice has to be clear and consistent. Tamaki achieves this with Monty, but her voice is irritating. That’s not to say that all narrators must be pleasant; in fact, a lot of interesting dramatic tension can arise from a protagonist with major personality flaws. The problem is that Monty is quick to judgement, petulant, and very slow to admit when she’s wrong. These aren’t necessarily negative qualities in the voice, rather, these character traits do not work with the development of the plot, making Monty’s voice difficult to tolerate throughout the book. Early on it’s easy to see that Monty is sabotaging her relationships with her attitude. The inertia of the plot makes this otherwise interesting dynamic frustrating until the rushed resolution. This One Summer is also an “uneventful” story with an alienated, somewhat angry teen. In both books Tamaki shows teens who feel like they are alone in their jumble of intense emotions. 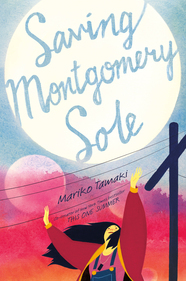 Like its predecessor, Saving Montgomery Sole explores the complexity and fragility of teen friendships and the simple (but hard to learn) truth that you are only alone if you refuse to let people in. In This One Summer, co-author (and cousin) Jillian Tamaki’s art gave these themes lift, developed the characters, and sustained a difficult protagonist. Tamaki’s latest relies on prose that doesn’t work for its characters, story, or themes. It isn’t likely to be in Printz consideration but there are elements here that could have worked with more refinement. 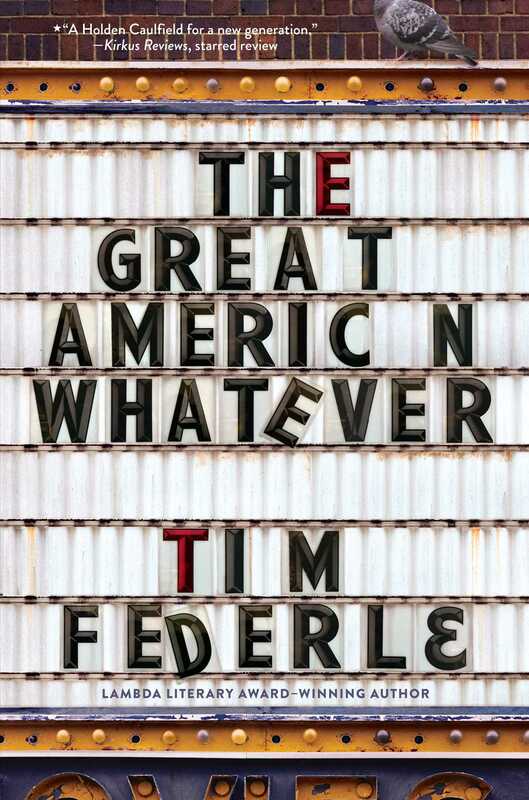 Tim Federle’s The Great American Whatever also has a small plot in the sense that it’s not an action-packed thriller or intense romantic drama. This novel is concerned with what happens when you begin to move on from grief. Federle’s execution of the plot is realistic—with the exception of the neighbor/babysitter-turned-screenwriter who returns home to shoot his latest movie. Quinn Roberts is an aspiring screenwriter who hasn’t cared about anything since his sister died in a tragic car accident. The setup is sad but the execution is full of quips and comic situations. Quinn’s sense of humor is a defense mechanism against the crushing weight of reality. His plans for the future died with his sister, who was the director for all his films. Quinn’s voice as narrator is sharp and sarcastic—the kind of aspirational smart-teen speak that’s also filled with pop culture references. Personally, I like this style of writing but I know it’s not for everyone. Federle’s convincing in this voice, although Quinn becomes tiresome when it begins to seem like his only mode of communication is funny one-liners. For Printz consideration, voice should evolve with the character’s development as the narrative unfolds. The lack of change here takes this one out of Printz contention for me, despite being an enjoyable read overall. All in all these previously honored authors probably won’t come up in most Printz conversations this season. Still, these are two authors to watch as their current books show glimpses of what could be continued development on the horizon. But what do you think, readers? Are there other previous winners/honorees we should look at? Let us know in the comments! For me, Sonya Hartnett’s (previous Printz honoree) The Golden Boys is a real contender this year. Loved it. I’ve heard great things and it’s definitely on our list! A lot of my dissatisfaction with THE GREAT AMERICAN WHATEVER (which was … fine … to me) came into focus when I read in the author’s note that the story had started out as a novel for adults, and then had been rewritten for the YA market. I wonder if the lack of development of Quinn’s voice is a byproduct of that. I was really disappointed with Marilyn Nelson’s American Ace. It’s been a while since I read it, but I remember thinking that everything felt oversimplified for a story that needed nuance. Nelson’s How I Discovered Poetry was incredibly beautiful (and a favorite here at the Printz blog) so that probably raised expectations for this one. Sadly, American Ace was a mess. Nothing like her usual work. Most of the issues were narrative, but the poems were also not superb. And since we had nothing good to say and I at least usually adore her work, we opted that the less said the better.